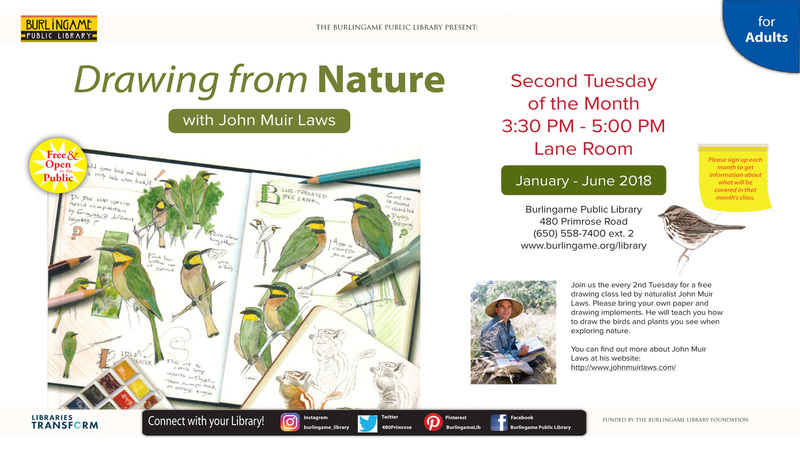 Join us each month for a drawing/journaling group led by local naturalist and educator John Muir Laws. The class meets in the Lane Room. Please sign up EACH month so we can send you a reminder and an update about what the class will cover. The focus is on sketching and water color painting. No materials are provided other than colored pencils and plain paper. Most participants bring their own drawing tools and notebooks.